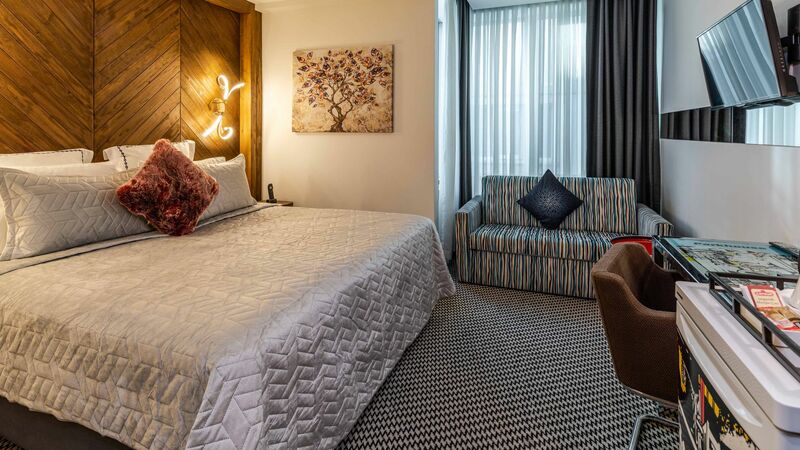 The rooms and suites at Parkhouse Hotel offer unmatched comfort, luxury and value.With hi-speed internet connenection and beautifully designed rooms and suites, ceramic tile bathrooms and all modern conveniences, guests will find everything they need for a perfect Istanbul vacation. 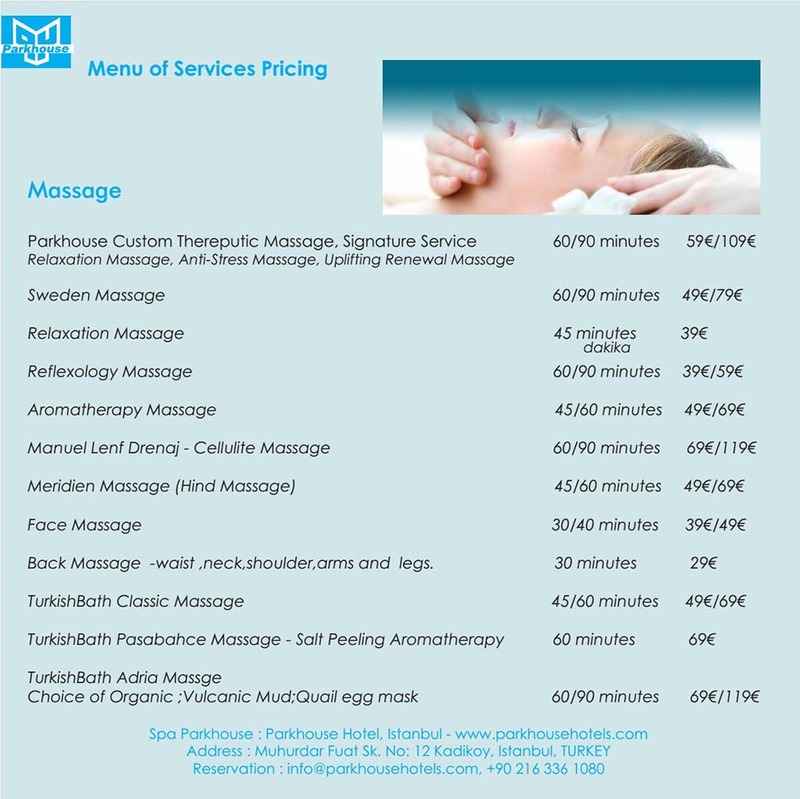 Please ask special packages and hotel deals, you will find the right offers at Parkhouse Hotel. An intimate service oriented hotel that strives for frequent and long- term stays from our guests. 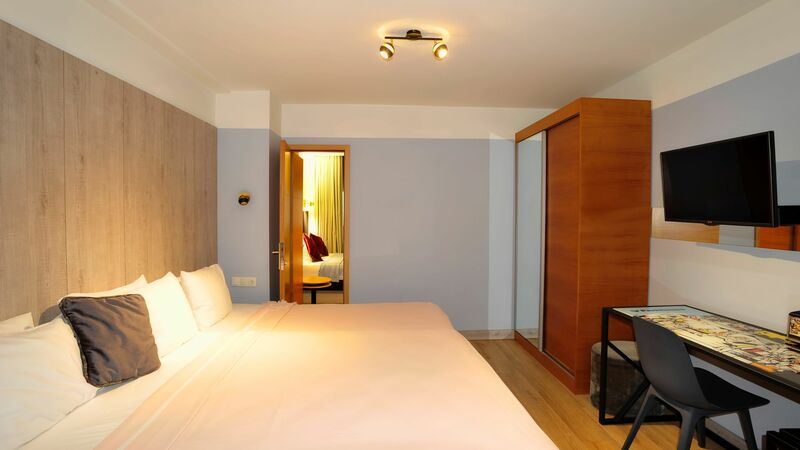 Our newly built hotel offers guest rooms, services and convenience to your preferred home in Istanbul. 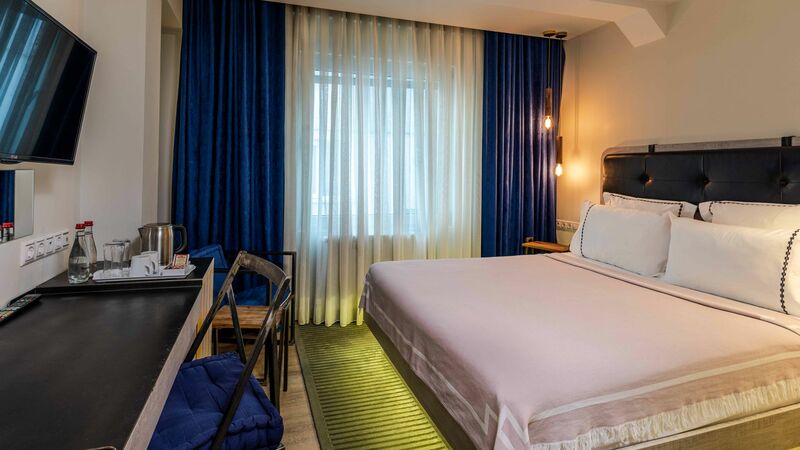 Blending casual comfort with an enticing minimalist design, this all new Asian side of Istanbul hotel offers an exquisite gateway to one of Istanbul hottest neighborhoods. 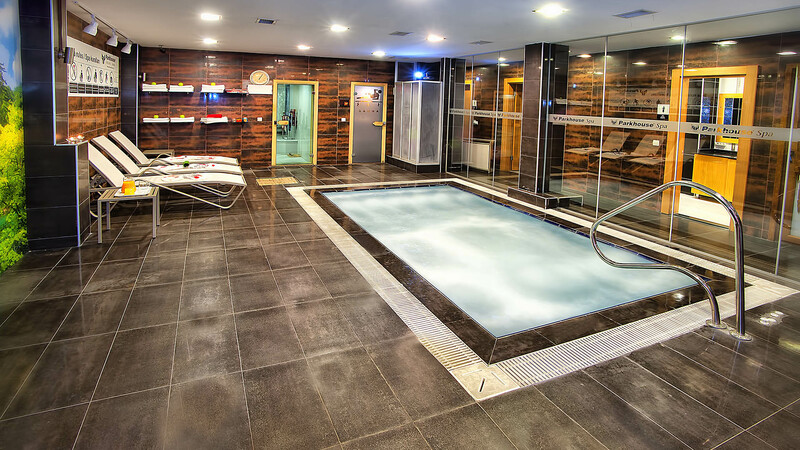 Unlike any of spas you’ll find in Istanbul Asian side, the Parkhouse SPA features uniquely Ottoman styling with slate walls, marble floors and breathtaking water features throughout. 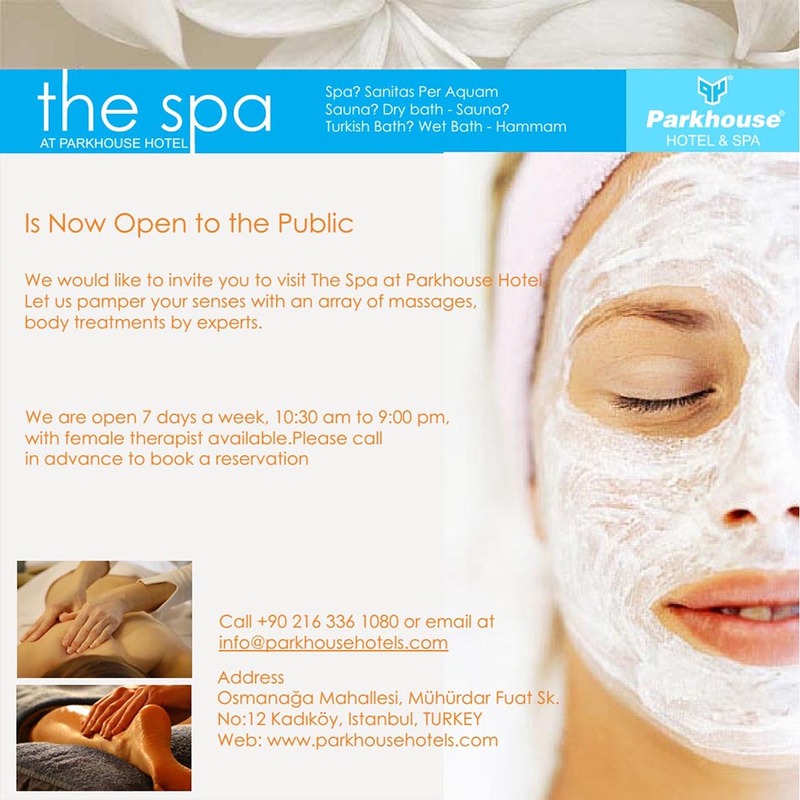 Parkhouse Spa offers Ottoman style Turkish Bath, large jacuzzi and sauna. 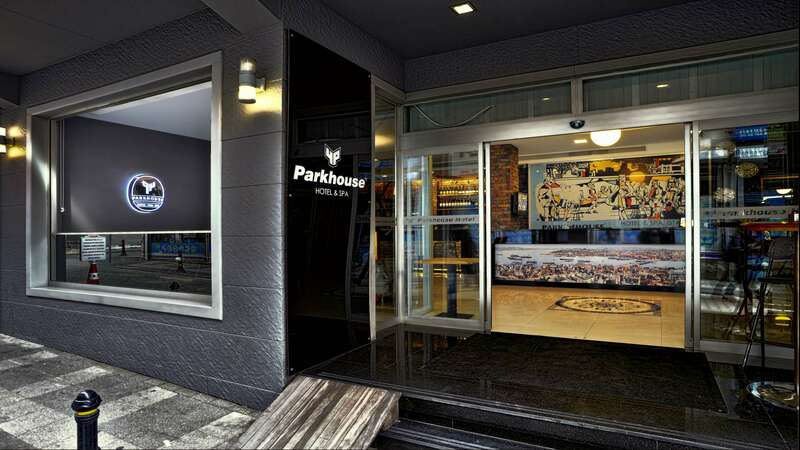 Parkhouse Hotel is near the best restaurants in Istanbul. 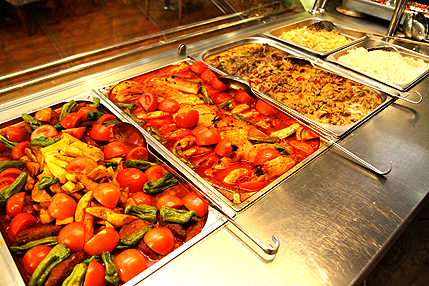 The restaurants near the hotel offer most authentic Turkish food, best kebaps, and seafood in town. 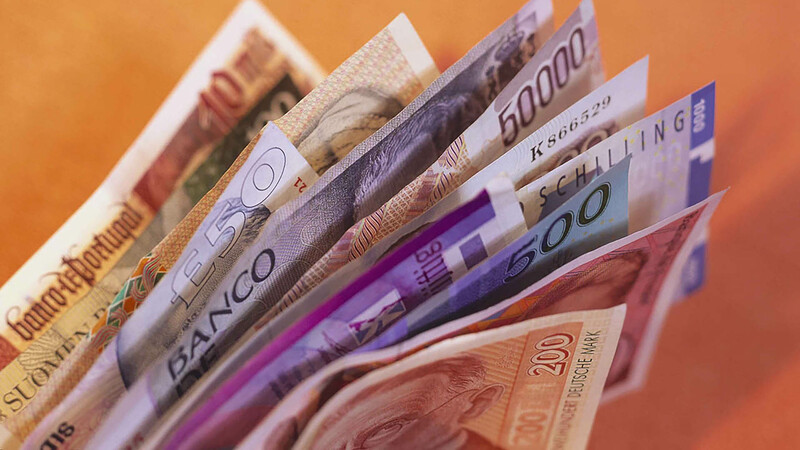 There are plenty of places where you can getsomething quick without stretching your budget. 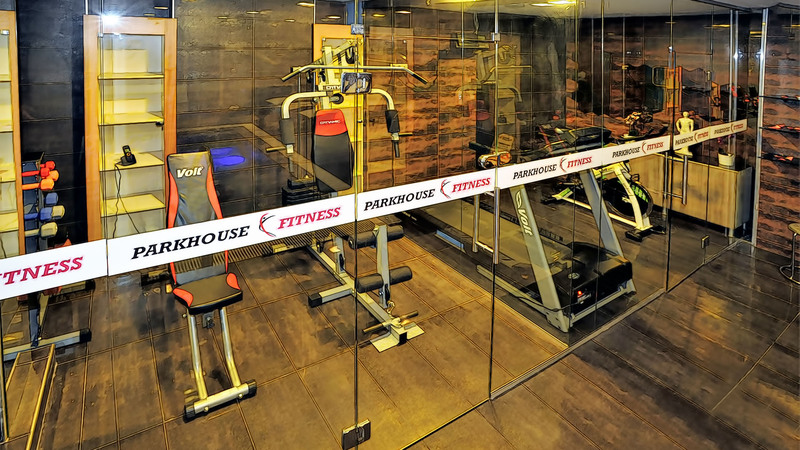 Let Parkhouse Hotel show you Istanbul like no other hotel can. 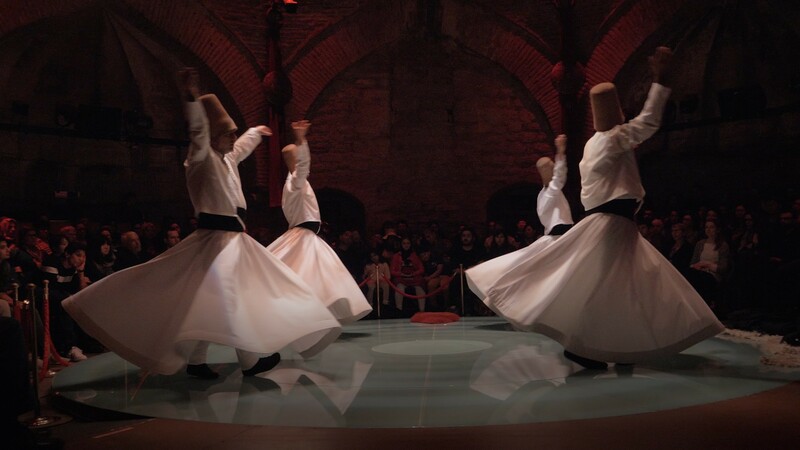 Sophisticated and artistic city, from rhythmic folk music to sultry night clubs, concerts, events, there is plenty to do in Istanbul. 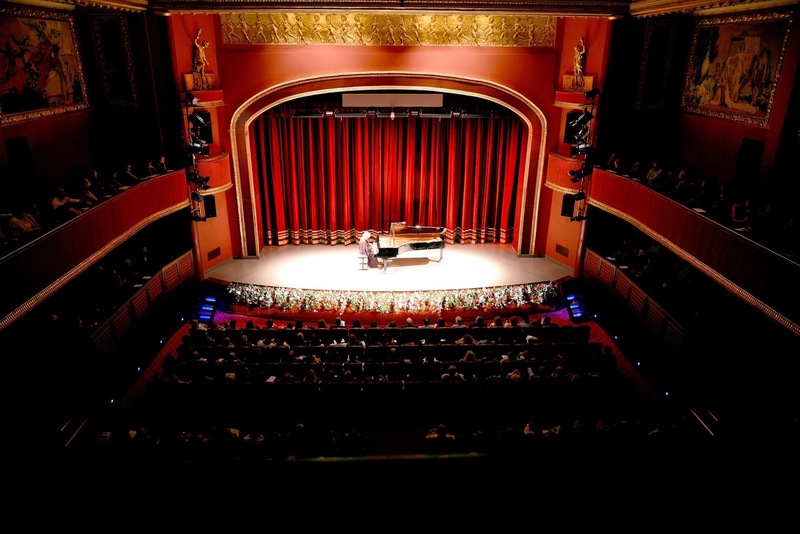 The Turkish traditions blend with sleek and modern concepts, serving up a unique mix of old and new worlds. Update your Business image at the Parkhouse Hotel. Located 15 minutes from Business districts, this refined downtown Istanbul Hotel offers an impressive place for conducting business. 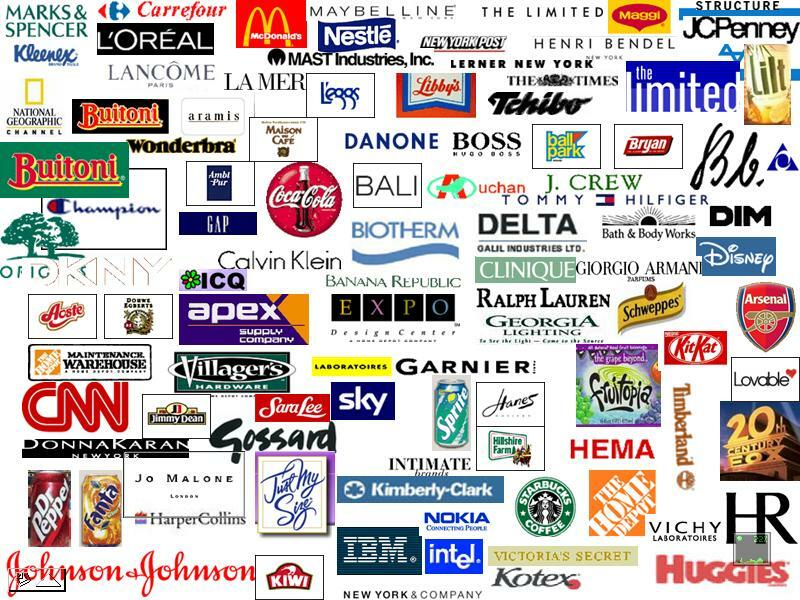 From fasion to finance and accounting to architecture, some of th world’s most cutting edge firms do business in Istanbul. 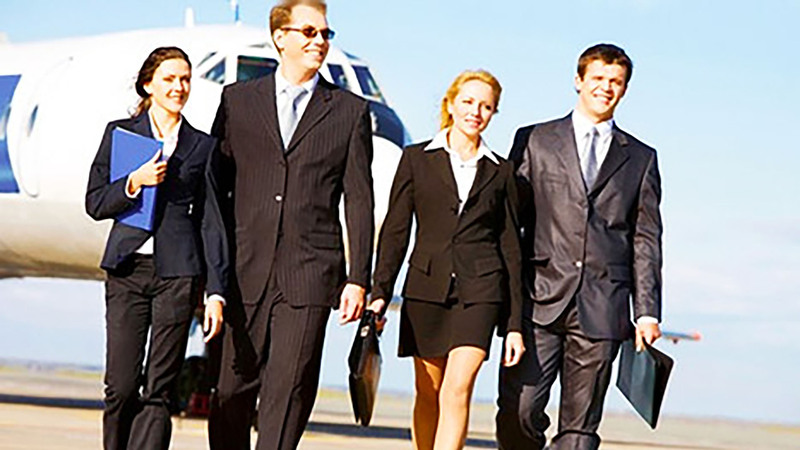 Our modern ambiance and super-b services inspire just the sort of mindset it takes to thrive. The best way to start the day while you're away. Wake up and smell the coffee with Parkhouse guests. 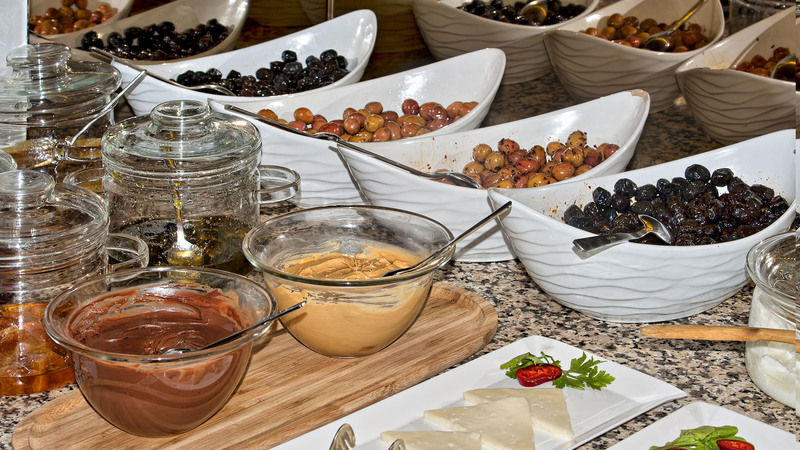 Who doesn't love a great big breakfast on holiday? Breakfast is the most important meal of the day. Agreat choice for Business Traveler or a Couple Hide Way! Deluxe room feature one king size beds (180cmx200cm) with private bathroom features shower and a separete vanity area. Most importantly free WI-FI, entertaintment center with LED televisions with expanded chanels, coffee and tea maker, hair dryer, wireless deck phones with data port, air conditioning, mini bar, heating, vale parking. Also walk to all shopping centers, night life that Kadikoy offers. Agreat choice for Business Traveler or a Couple Hide Way! 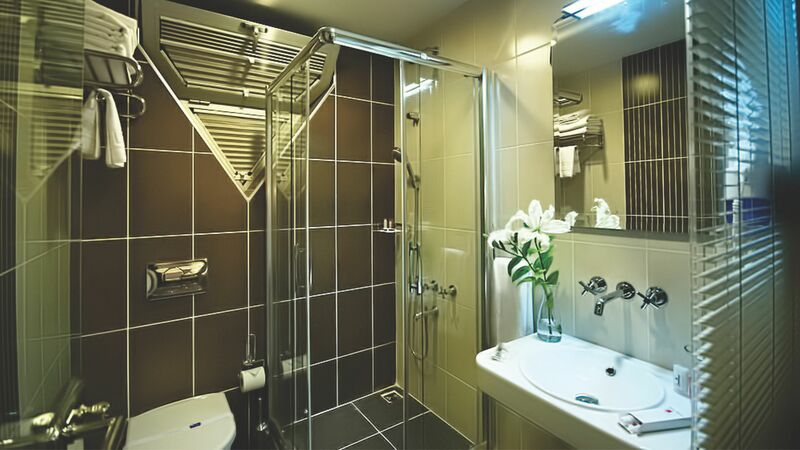 Deluxe double room feature two 90cmx200cm size beds with private bathroom features shower and a separete vanity area. 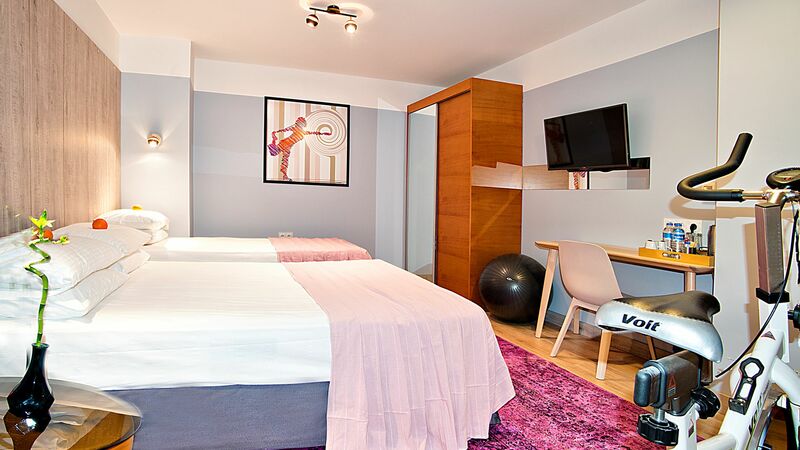 Most importantly free WI-FI, entertaintment center with LED televisions with expanded chanels, coffee and tea maker, hair dryer, wireless deck phones with data port, air conditioning, mini bar, heating, vale parking. Also walk to all shopping centers, night life that Kadikoy offers. 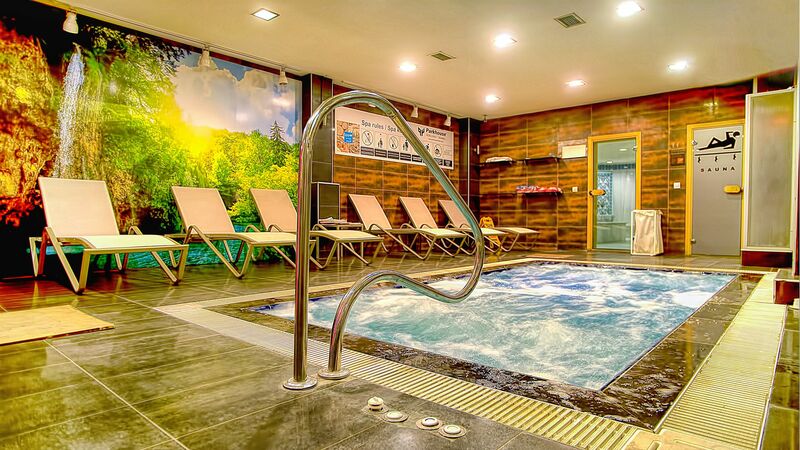 Great for returning guests and couple wants to relax by the Spa! 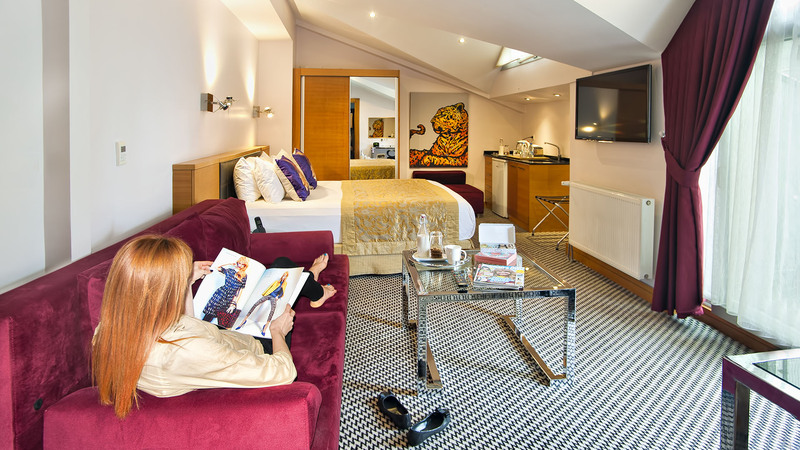 Premium King rooms includes one king size bed or two 90cm.x 200cm and a sofa fits for 3people. 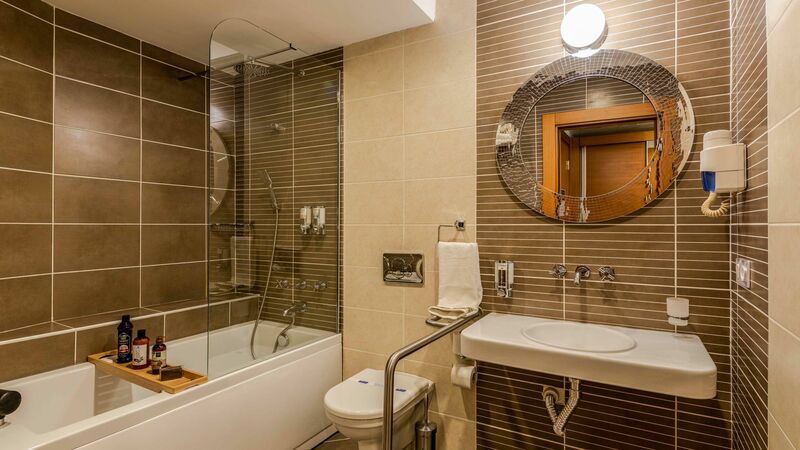 Your private bathroom features bath tub, shower and vanity area. 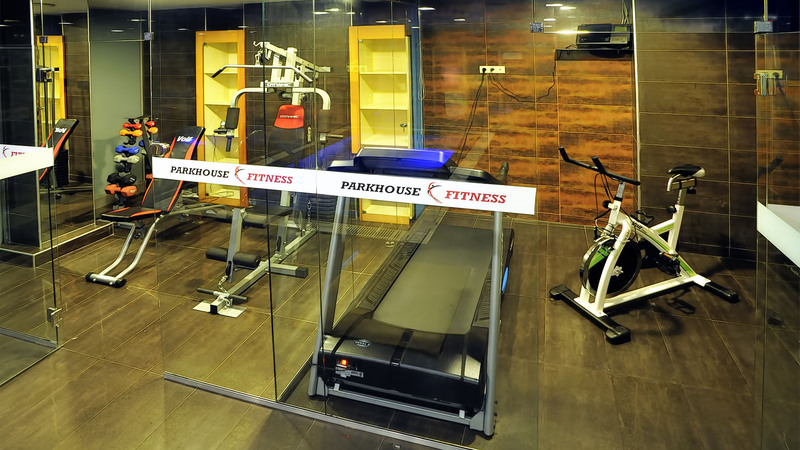 Free High speed WI-FI, entertaintment center with LED televisions with expanded chanels, coffee and tea maker, hair dryer, wireless deck phones with data port, air conditioning, heating, minibar, vale parking. Further more Location... Location walk to explore Kadikoy including all the Bars and Restaurants. From the moment you walk in the door, our one bedroom suite will make you feel right at home. 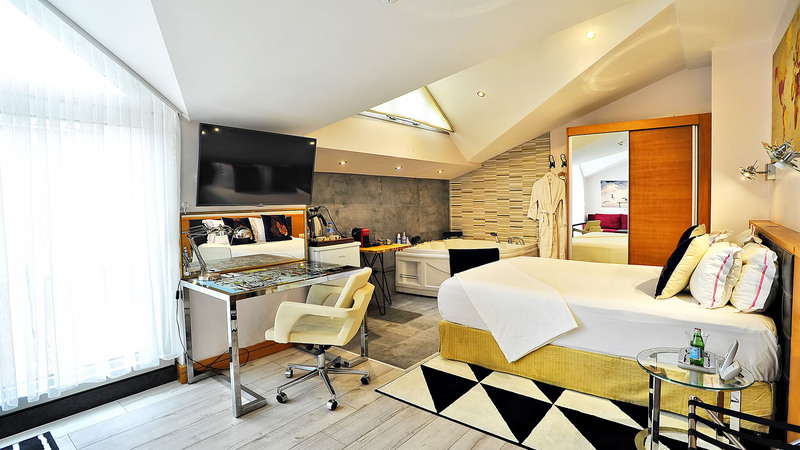 Bedrooms include high-end pillows, a LG 42-inch 3D LED Tv, expanded chanels with media hub, uber-comfortable king bed, in room high-speed internet and wi-fi, fully stocked fridge, in-room safe, jackuzzi bath tubs, complimentary coffee and tea, hair dryer, 110V connector, heater, air-conditioning, slippers, dry-cleaning, loundry and ironing service, full-length windows, private balcony with sea view. Guests up to 3. The Concierge desk is here to assist you with recommendations and reservations for all your activity needs that you may have during your stay eith us. As one of the most highly accommodating hotel in Asian side of Istanbul, we can recommend and assist with booking restaurants, transportation, as well as any special and unique request that you may have. Booking for the hottest online deals and Istanbul hotel discounts? 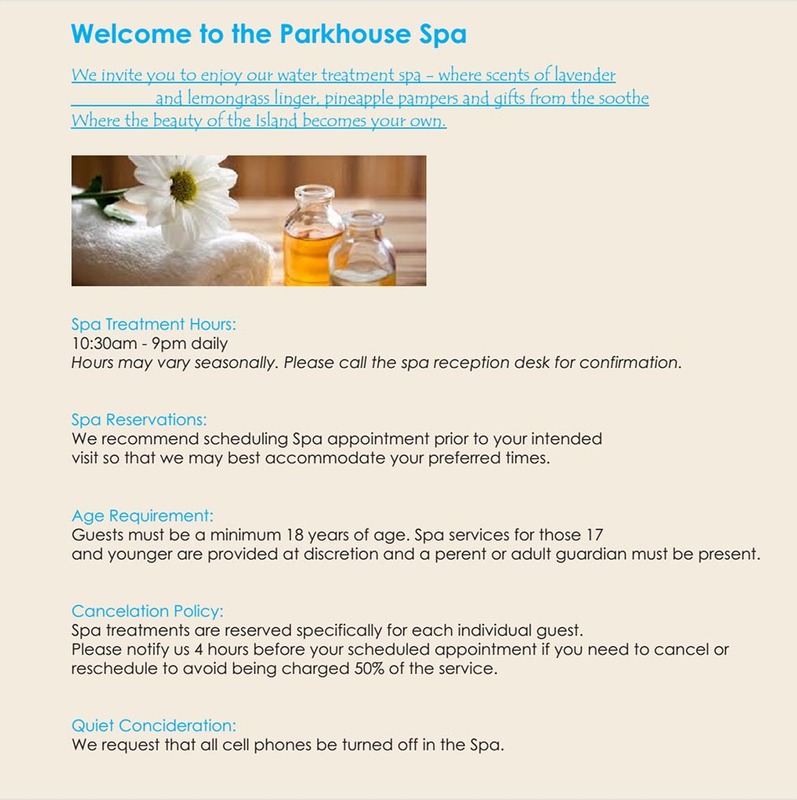 The best room rates and vacation package deals are available right here at Parkhouse Hotel & Spa! We offer top rated hotel rooms with incredible Istanbul hotel room rates, discounts and specials which are all just a click away. Our deluxe hotel rooms offer the ultimate combination of comfort. Bedrooms include a LG 32-inch 3D LED Tv, expanded chanels with media hub, Platinum pilow-top king bed, in room high-speed internet and wi-fi, mini bar, in-room safe, rain shower bathrooms, complimentary coffee and tea, hair dryer, 110V connector, heater, air-conditioning, slippers, dry-cleaning, loundry and ironing service. Guests up to 2. 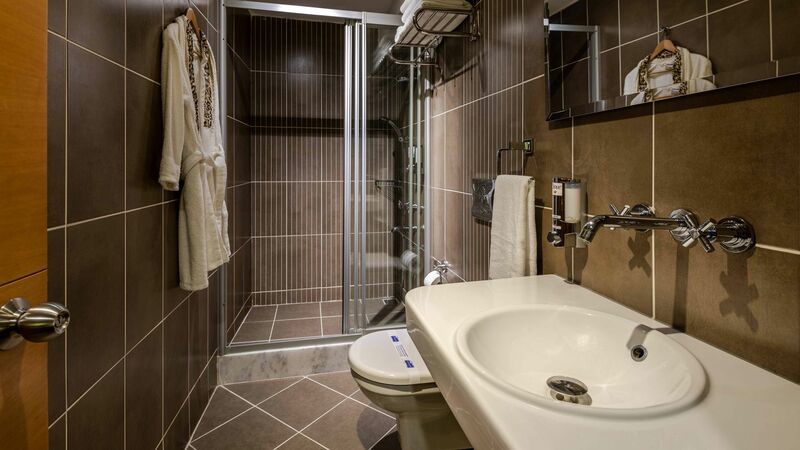 In the bathroom, there is a seperate rain shower stall and water closet, lighted vanity mirror, high quality tile and excellent quality Turkish Cotton towels keep you comfortable. Our double deluxe hotel rooms offer the ultimate combination of comfort. Bedrooms include a LG 32-inch 3D LED Tv, expanded chanels with media hub, Platinum pilow-top king bed, in room high-speed internet and wi-fi, mini bar, in-room safe, rain shower bathrooms, complimentary coffee and tea, hair dryer, 110V connector, heater, air-conditioning, slippers, dry-cleaning, loundry and ironing service. Guests up to 2. This Premium King room’srich decor and super b extras set the mood for a relaxing night in or getting the party started. Bedrooms include a LG 32-inch 3D LED Tv, expanded chanels with media hub, sofa, deluxe king bed, in room high-speed internet and wi-fi, fully stocked mini bar, in-room safe, bath tubs, complimentary coffee and tea, hair dryer, 110V connector, heater, air-conditioning, slippers, dry-cleaning, loundry and ironing service, full-length windows. Guests up to 3. 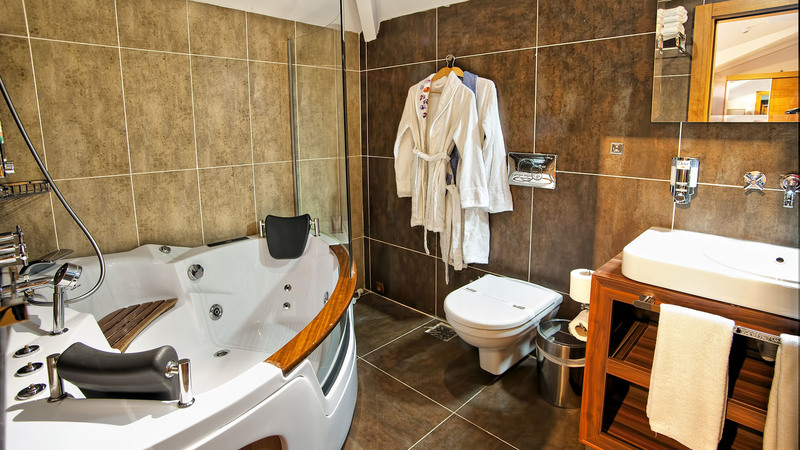 Our two bedroom suite proves you can never have too much of a good thing. Bedrooms include two LG 32-inch 3D LED Tv, expanded chanels with media hub, one premium king bed, two double bed, in room high-speed internet and wi-fi, minibar, in-room safe, glass-wall bathrooms, complimentary coffee and tea, hair dryer, 110V connector, heater, air-conditioning, slippers, dry-cleaning, loundry and ironing service, double door suite entry, 2 bathrooms. Guests up to 4. The fitness world is filled with tons of tips and advice, and for beginners there’s a lot to take in. We’ve picked five staple fitness tips that will stand the test of time and maximise your sessions, keep fit and stay motivated. Making small changes to your routine every few weeks will keep things fresh and help you to stay motivated so you don't fall out of the gym habit. 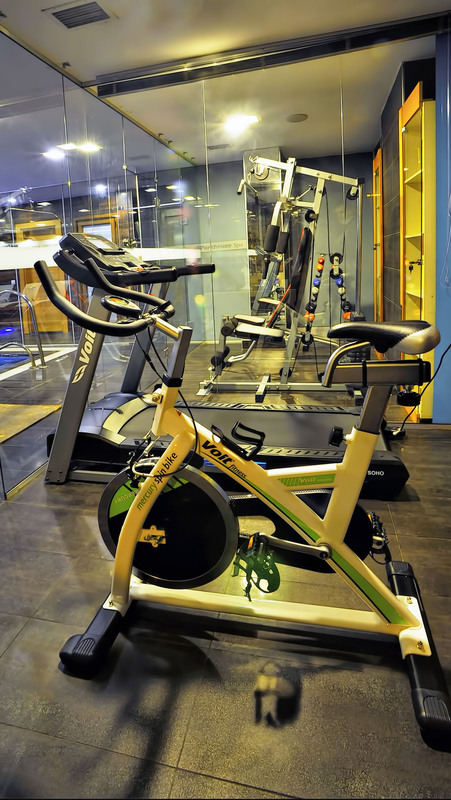 Try swapping the treadmill for the exercise bike. The average life of a good pair of running shoes is 400-600 miles. Around this mark, the midsole starts to break down and stops providing the support you need, which results in sore shins, arches, knees and hips. Prevention is better than the cure, so trade your trainers in for a new pair as soon as you hit that magic number. Everybody knows it's important to stretch before a workout, but doing static stretches, in which you hold a position for 30 seconds, can actually inhibit performance. Instead, try dynamic stretches which involve taking your muscles through their full range of movements; examples include high kicks and arm circles. Save the static stretches, like lunges, for the end of your session to improve mobility and boost your recovery time. Running isn't always about speed and distance. 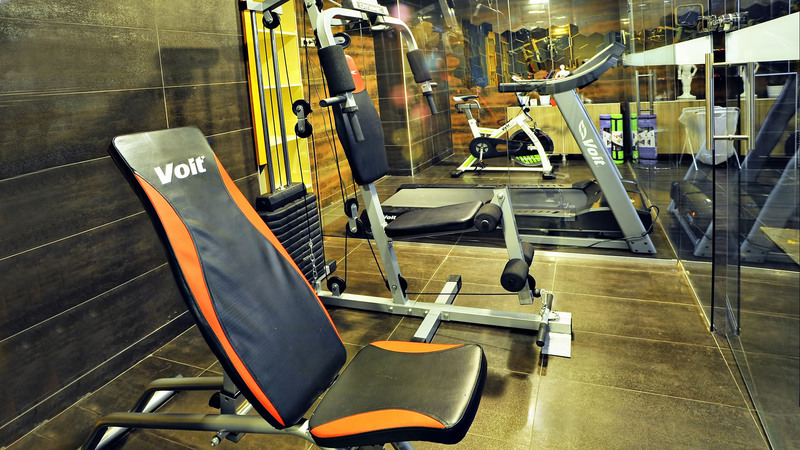 Adding an incline on the treadmill builds muscle tone, uses more energy and speeds up weight loss. Either increase the incline on your regular run or walk, or set it high and try one-minute sprints – the steeper the better! Use your window. Not the glass kind – we're talking about the nutrition 'window of opportunity'. For around 90 minutes after exercise, your metabolism is working harder and your muscles are crying out for protein to aid muscle building and recovery. Replenish your body's stores with fish fillets and avocado salad, a spinach-filled omelette, or grilled chicken with rice. If you're in a hurry, pack a protein shake to sip post-workout. 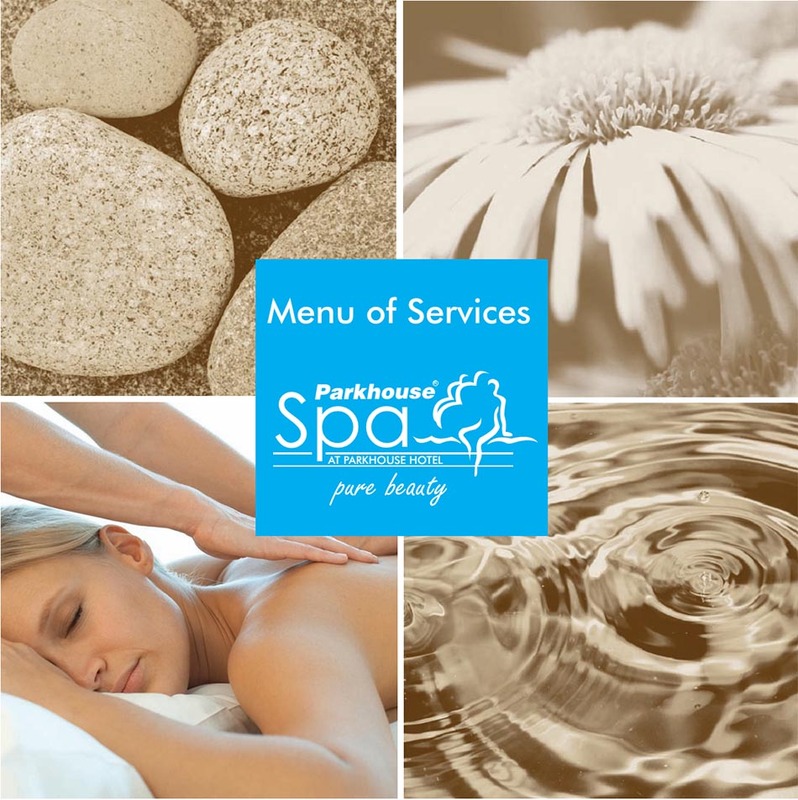 Get pampered at Parkhouse Spa. 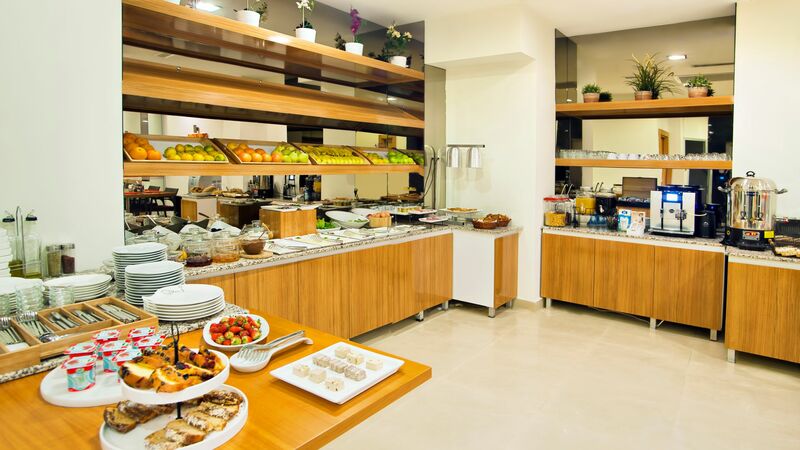 We are located in a stuningly serene facility on beautiful landscaped grounds , but the real treats are found inside. 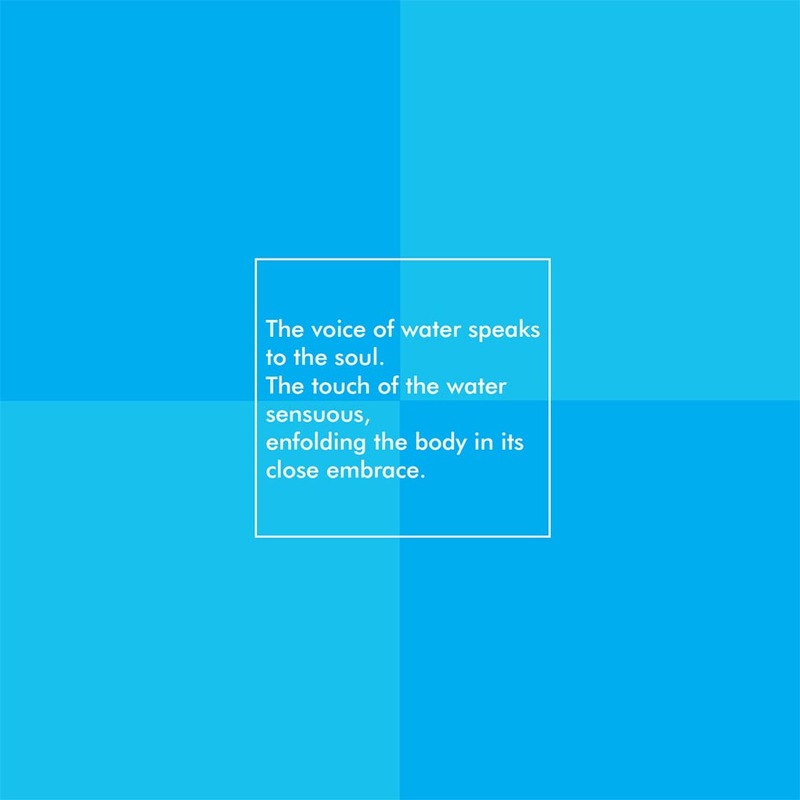 View our spa menu to choose from a variety of spa treatments designed to nourish your mind, body and spirit. 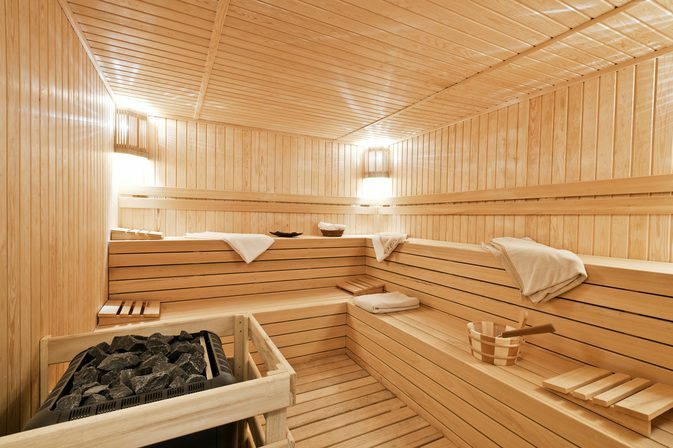 Istanbul vacations are certainly exciting, but when you’reready for relaxation, our spa provides a perfect retreat. 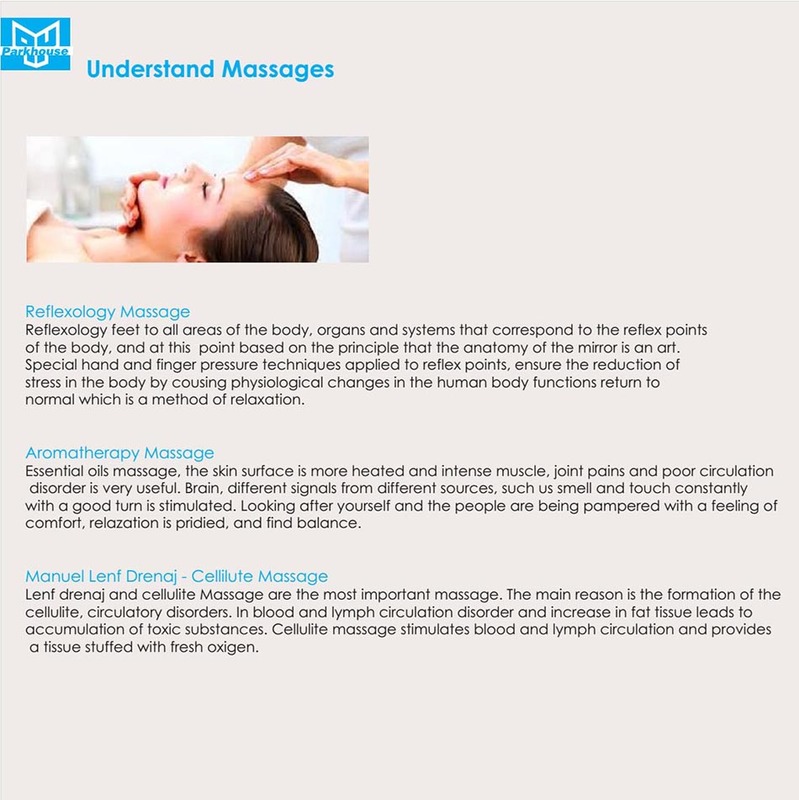 Explore our menu of services to find all of your favorite facials, wraps, body tratments and beauty treatments. 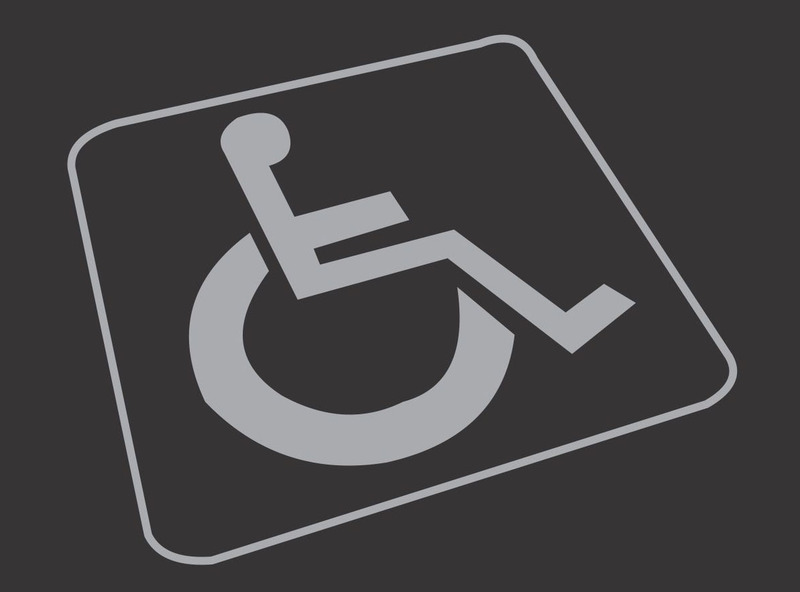 Update your Business image at the Parkhouse Hotel. Located 30 minutes from Business districts, this refined downtown Istanbul Hotel offers an impressive place for conducting business. From fashion to finance and accounting to architecture, some of the world's most cutting edge firms do business in Istanbul. 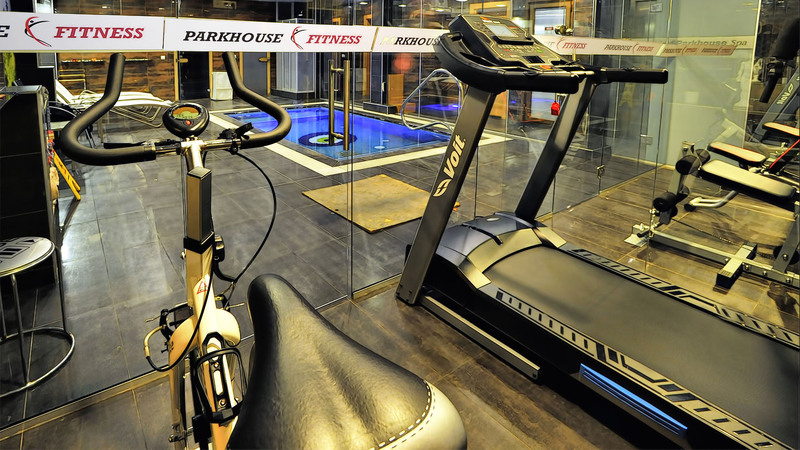 Let Parkhouse Hotel show you Istanbul like no other hotel can. Kadikoy known as Chalcedon in antiquity in Greek is a large and populous cosmopolitan district on the Asian side of Istanbul. Kadikoy on the shore of the Sea of Marmara, facing the historic city centre on the European side of the Bosphorus. 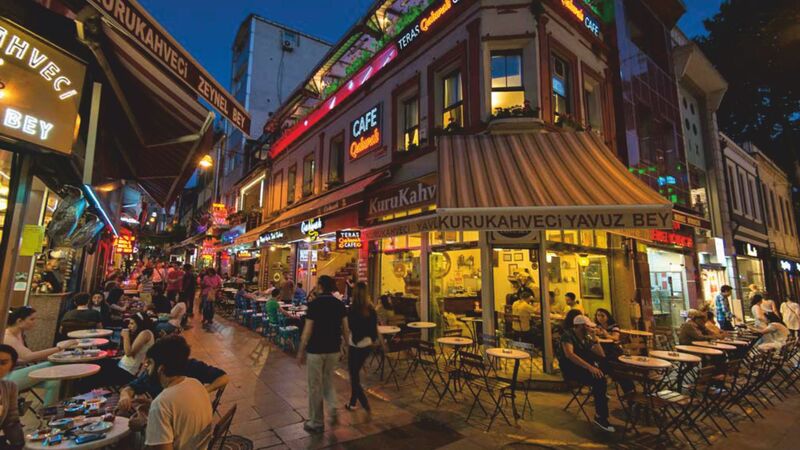 Kadikoy is a residential and commercial district, and with its numerous bars, cinemas and bookshops, is the cultural centre of Asian side. Osmanaga Mahallesi Muhurdar Fuat Sk. No.12 Kadiko, Istanbul 34714 Turkey.